Often times we’ve seen regular people rise from obscurity to fame as a result of their relationship with a popular figure. Chris Frangipane, a man who would not be known had it not been for his daughter’s success in the music industry, counts himself among this group. Unlike most parents of celebrities who often capitalize on the fame of their kids, Chris seems to be very cool with being behind-the-scenes doing what he knows how to do best – helping car companies make sales. His daughter is none other than Ashley Nicolette Frangipane better known by her stage name – Halsey. Halsey took the music world by storm in 2014 after a song she had self-recorded began gaining traction on Soundcloud. Here is all the information there is to know about the star’s rather privy father. Not your regular celebrity, Chris Frangipane would rather prefer to live his life away from the spotlight but when you are a progenitor of a star as big as Halsey, you bet the world is going to come knocking on your door until the knocks become so loud that you can’t help but open up. Well, for Chris Frangipane, he seems to be doing a good job ignoring the noise. The exact date of birth of the star’s father isn’t known, however, thanks to the internet, there is only so much of himself that Frangipane can keep away. He is of African-American descent, which is one of the main reasons that his daughter’s fans took much interest in him. When Halsey revealed that she has black roots many doubted and became desperate to know exactly who her father was. Halsey just happens to look more white than black and let’s just say her mother’s white genes were stronger than her dad’s while she formed in the womb. Also, Halsey’s tilt towards a lighter skin color could be the fact that Chris isn’t entirely black. In addition to being of African-American heritage, Chris Frangipane is also of Irish ancestry. As earlier mentioned, Chris Frangipane isn’t in the entertainment industry but in the corporate world, a trip to his LinkedIn page shows that Halsey’s father has a wealth of experience as an automobile sales manager. He had his college education at Fairleigh Dickinson University in New Jersey. He spent about five years at the college, leaving in 1997. Chris began working in the corporate world in 2003 first as a sales manager for Ayers Chevrolet. He spent a little over 9 years with the company before leaving in 2013 to join Prestige Volvo on a higher role of General Sales Manager. About a year and a half later, Frangipane was on his way out and joined Rossis Chevrolet Buick GMC as a sales manager, a position he held for two years and a month before leaving in April 2017. The company was in Washington, New Jersey. 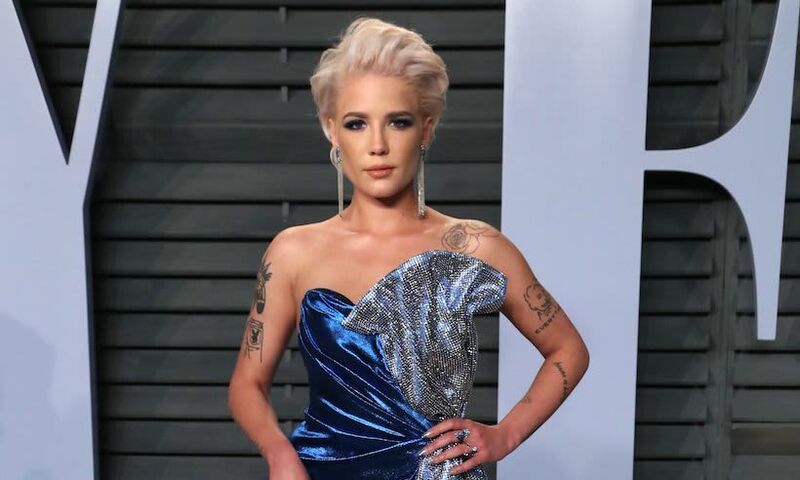 Chris Frangipane had his daughter, Halsey, with a woman named Nicole, who is of Italian, Hungarian, and Irish heritage. Though they had a child together, it isn’t clear if they officially got married. They began dating when they were both in college and Nicole got pregnant while they were both still in college. As a result of the pregnancy which appeared to have come earlier than they expected, Chris and Nicole dropped out of college for a while in order to focus on preparing for the arrival of their baby. After the baby that was named Ashley – popularly known as Halsey – arrived, the couple continued working hard to make ends meet, as a result, they had to relocate often. This saw Halsey attend 6 different schools before she became a teenager. Fortunately, Chris Frangipane would later get settled on a career in car sales. Nicole, at one point, worked in the security department of a hospital. The couple later had two other kids, sons named Sevian (born in 1998) and Dante (born in 2005). • Chris Frangipane, like his daughter Halsey, is a music lover. He is a fan of rappers like Tupac, The Notorious B.I.G., Bone Thugs-n-Harmony, and Slick Rick. Listening to songs by these rappers around young Halsey would come to be a huge influence her own style of music. • Nicole, the mother of his kids, suffers from bipolar disorder. Halsey would also come to suffer from the same ailment. • Chris Frangipane and Nicole chased their daughter, Halsey, from their home after she dropped out of community college. Their reasons included that Halsey had become too wild – she’d already begun having tattoos at the time.